Pink is most definitely a color that I need to consider more often and simply because it is a beautiful color. I like pink, it looks good against my tan skin, so I really don't know why I don't reach for it as I should. 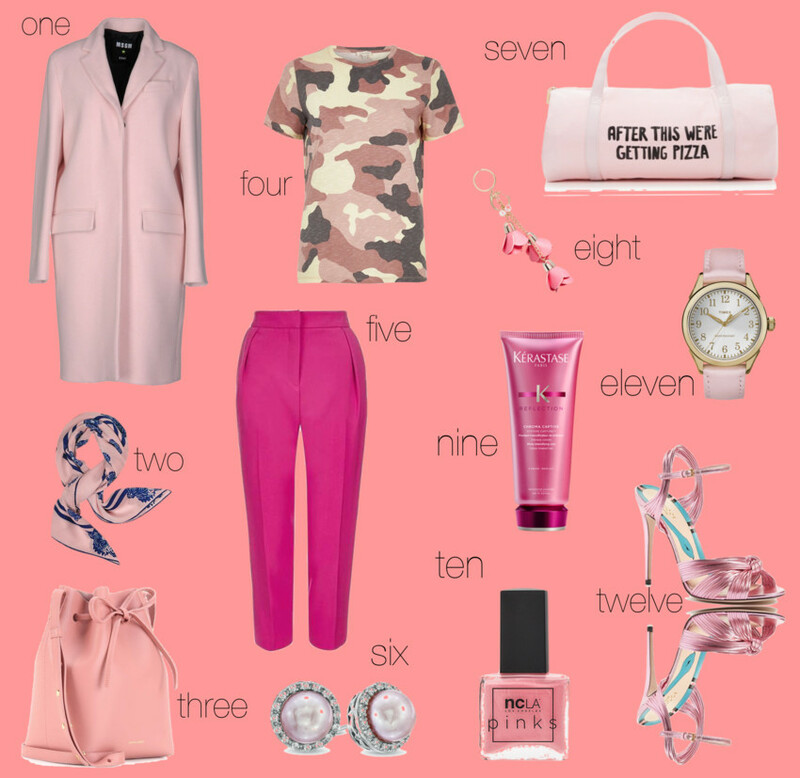 So today, I felt inspired by this sweet and lovely color and I created this collage based on my cravings (can't a girl dream?). From this set, I only own the hair regimen (awesome product) and because the bottle is pink, I thought it deserves to make it in this collage. one, two, three, four, five, six, seven, eight, nine (or at Amazon), ten, eleven and a dreaming twelve.